“Walk with the Spirits” through Magnolia and Cedar Grove Cemeteries! Event parking during the tours will be inside Magnolia Cemetery (702 Third Street) and Cedar Grove Cemetery (120 Watkins Street). Directional signage will be in place. Tours begin at 1:30pm each day with a new tour beginning every 20 minutes until 4:10pm. The event is rain or shine. Adult tickets are $20 and children 5-18 are $10. Tickets are good for both days. Tickets may be purchased at the cemetery. Tours will sell out, we recommend you come earlier in the afternoon if you have not reserved a ticket. There are 2 cemeteries on tour this year. If you select a tour time after 2:50pm, you will not have enough time to visit both cemeteries on the same day. 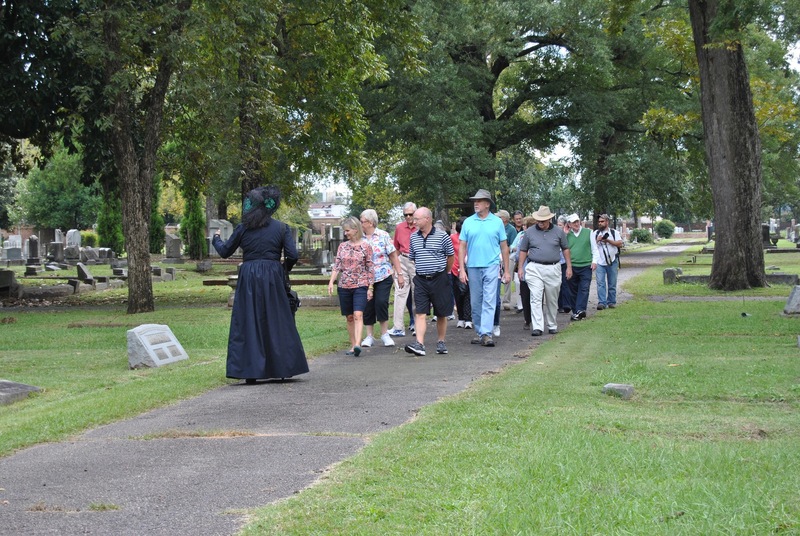 Historic Augusta’s annual cemetery tour, Walk with the Spirits, returns this October! 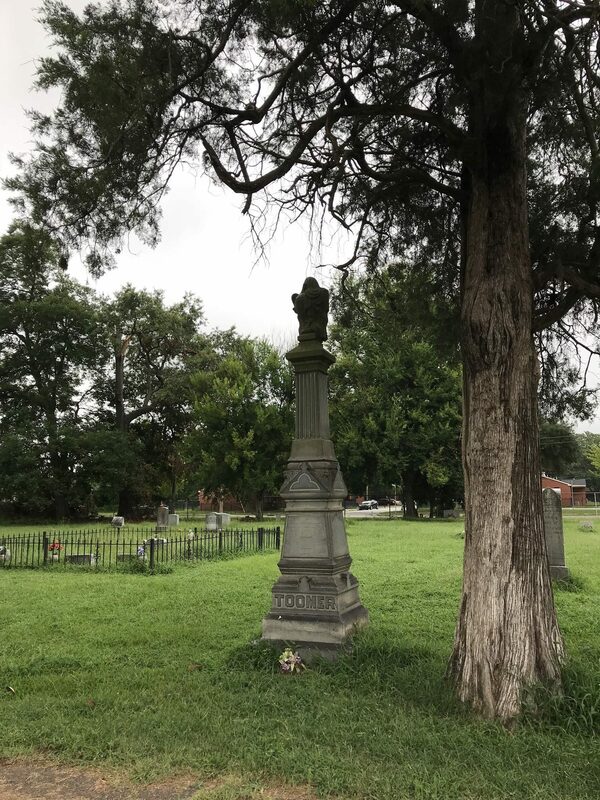 Reserve your spot to “Walk with the Spirits“ through the historic Magnolia and Cedar Grove cemeteries on Saturday, Oct. 6, and Sunday, Oct. 7. Experience history come alive as we celebrate the cemeteries’ bicentennials! 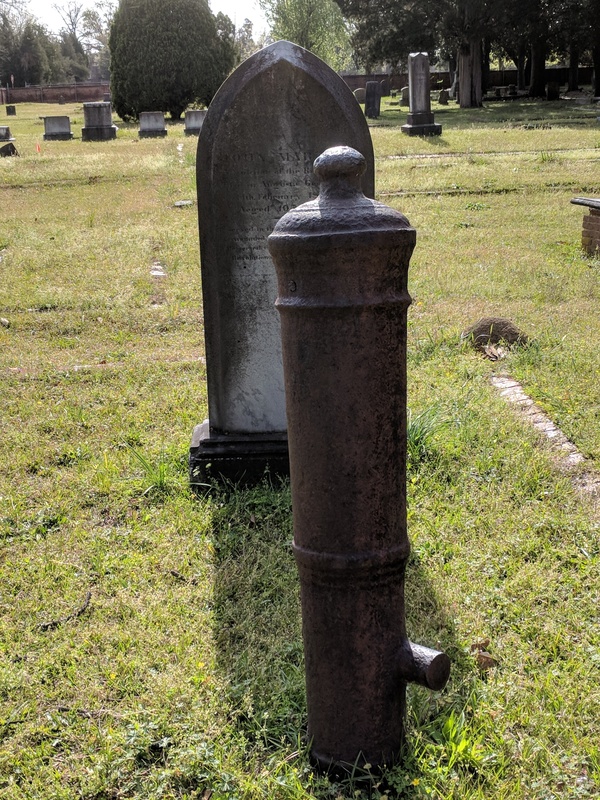 During a 45-minute guided tour of each cemetery with a “spirit” dressed in period costume, patrons will join Historic Augusta on a special trip through Augusta’s past and learn about the city’s most notable citizens. Along the route, additional spirits will enlighten the group with details of their lives and accomplishments. Historic Augusta is currently seeking sponsors for the event, which includes a unique opportunity to “Sip with the Spirits” at a private reception for cocktails and mingling with the cast. For more information, contact Historic Augusta at 706-724-0436. Wheeler C. Ervin (1900 – 1964): the first African American elected to the Richmond County Board of Education. Mr. Wheeler served for more than 35 years as the business manager at Paine College, and he was also a member of the Trinity Christian Methodist Episcopal church on 8th Street, which was recently saved imminent demolition after a long preservation campaign by Historic Augusta and the Augusta Canal Authority. Rev. Henry A. Johnson (1875-1951) pastor of Harmony Baptist Church, home of Morehouse College, Rev. Johnson was the son of Rev. Gad S. Johnson founder of Shiloh Orphanage; and, father of C.W. Johnson, first principal of Lucy Craft Laney Comprehensive High School. Judson Lyons (1860-1924) was an Augusta Baptist Institute graduate who became Georgia’s first African-American attorney; he later became the highest ranking African-American in the federal government when he served as Registrar of the U.S. Treasury from 1898-1906. Although the location of his grave is unknown, Lyons Drive in Cedar Grove Cemetery is named in his honor. Joanne (John Ann) Thompson (1862-1947) was the matriarch of Thompson Farms, which is now a fourth-generation enterprise and the largest commodity farm in Richmond, County. Her husband, John Thompson, was a charter member of the NAACP, and their son, Edwin Thompson, was one of the first African-Americans to serve in the U.S. Army Signal Corps as part of the famous 325th (Colored) Field Signal Battalion of the 92nd Division. Amanda Dickson Toomer (1849-1893) was the mixed-race child of an enslaved woman and a white slaveholder, who became the wealthiest black woman in the nation after she inherited her father’s $500,000 estate despite fierce objections from her white relatives. Her home at 448 Telfair Street is now occupied by The Hawk Firm. John P. Waring ((1878-1942), popular restaurateur, Mr. Waring was a charter member of the Augusta Branch of the NAACP and founding consortium owner of the Lenox Theater. His son J. Philip Waring Jr., was a noted social worker, journalist, and preservationist. Catherine Matilda Edwards Cashin (1783-1838) immigrated from Ireland to Augusta with her husband, John Cashin, who became a successful merchant, owning steamboat stock and selling a variety of goods at his store on the south-side of Broad Street. Lucy Vassa Buford Chew (1807-1897) lived in Richmond County most her of life; her husband, Benjamin F. Chew, was a landowner and merchant who had a store at 168 Broad Street. Samuel Hale (1784-1841) was a respected magistrate who served as mayor of Augusta from 1828-1836. His home, which is now the Old Government House, was the seat of local government until 1821, when he purchased it from the city and converted it into an elegant residence. Marie Marguerite Roullit Lagarde de l’Aigle (1766-1849) was the wife of Nicolas de l’Aigle, a prominent brick manufacturer whose estate bounded the land that later became Magnolia Cemetery. Family lore holds that the two met on board a ship out of Saint Dominque. When the ship was accosted by pirates, Nicolas purportedly saved Marie Marguerite and her two daughters by giving the pirates a Masonic medal that signified distress. 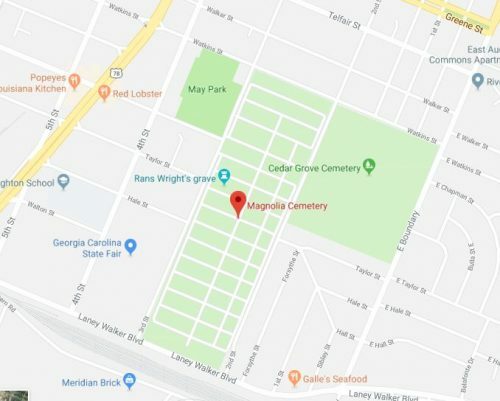 John Marshall (1773-1833), a veteran of the War of 1812, was the first sexton of Magnolia Cemetery when it opened for burials in 1818; 200 years later, his original burial records are still preserved in the Magnolia Cemetery office. John Martin (1738-1843) survived a tomahawk wound to the head in the Cherokee War of 1755 to later serve with honor in the American Revolution; he passed away at the remarkable age of 105 years and is buried beneath a Revolutionary War cannon, which marks the foot of his grave.